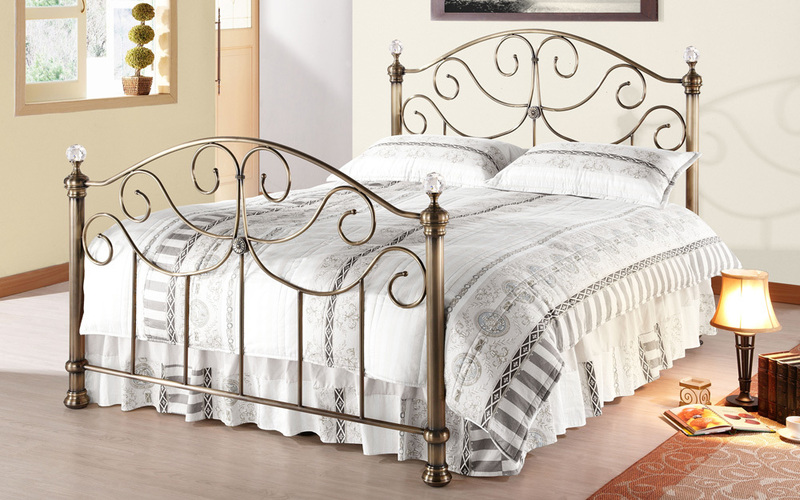 Add a touch of elegance to your bedroom with the Time Living Victoria Metal Bed Frame. Boasting a sturdy structure, sprung slatted base and brass effect frame, the Victoria offers remarkable strength and durability. Finished with brass or crystal finials, this is a stunning focal point for any bedroom.